OK, folks. It's back to my Hong Kong travel posts again. This was a trip I made with a friend in March last year. You may want to read about our visit to Ocean Park by clicking on the links below. Now that I've brought you up to date, let's continue from where I left off. After watching the awesome Symbio Water Screen Show, my friend and I left Ocean Park. We were both hungry and wanted to have roast goose rice for dinner as it was highly recommended by a friend of ours before this trip. 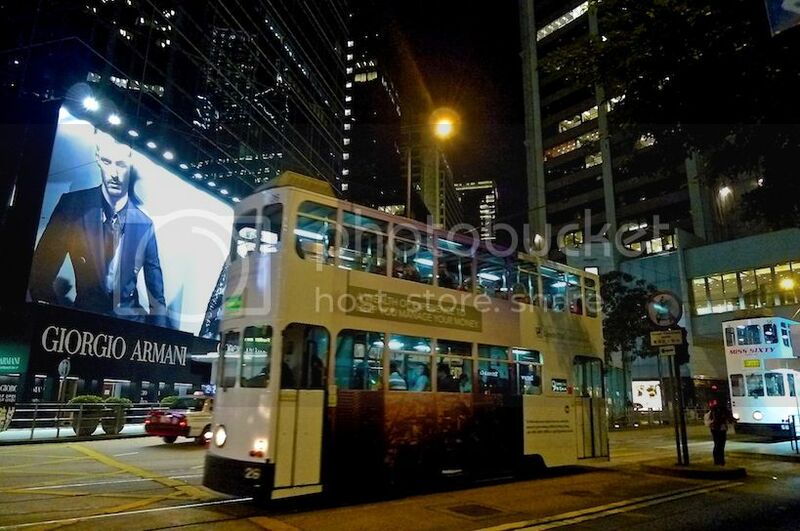 Outside Ocean Park, I saw the Citybus no. 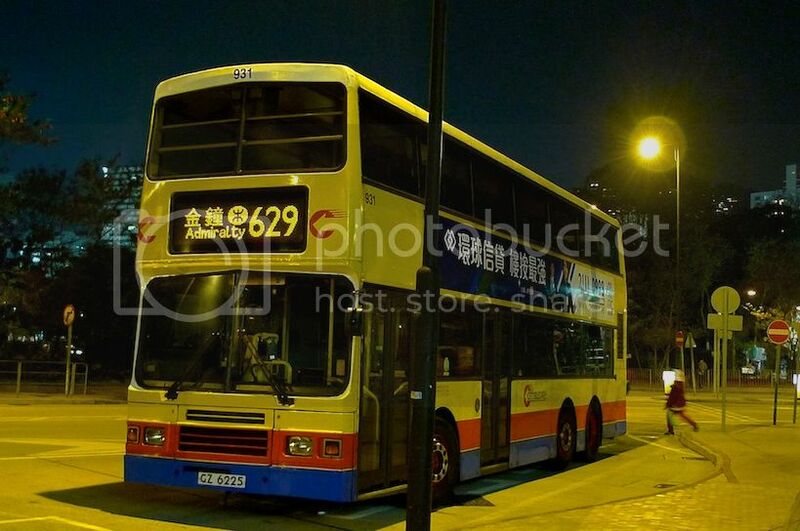 629 which services the route between Ocean Park and the Admiralty MTR Station. 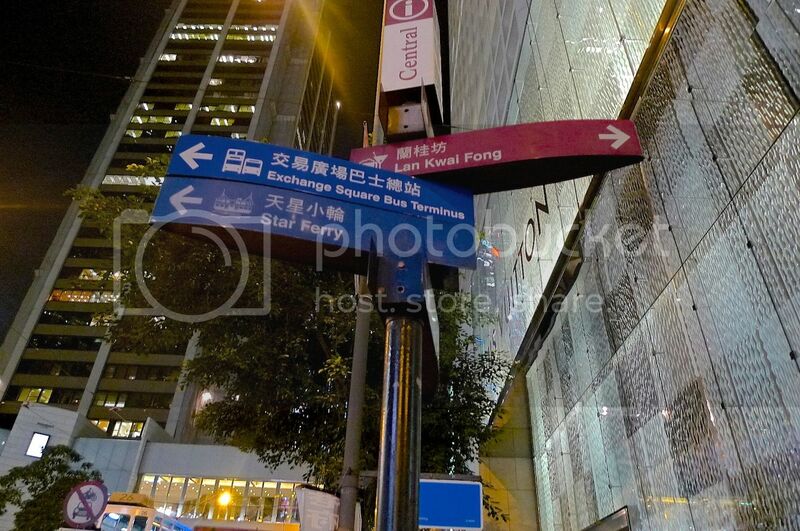 However, we were not going to the Admiralty MTR Station but were heading to Lan Kwai Fong for the roast duck rice. So, we flagged down a taxi instead. The problem was, the friend who recommended us the roast duck rice could not recall the name of the restaurant. 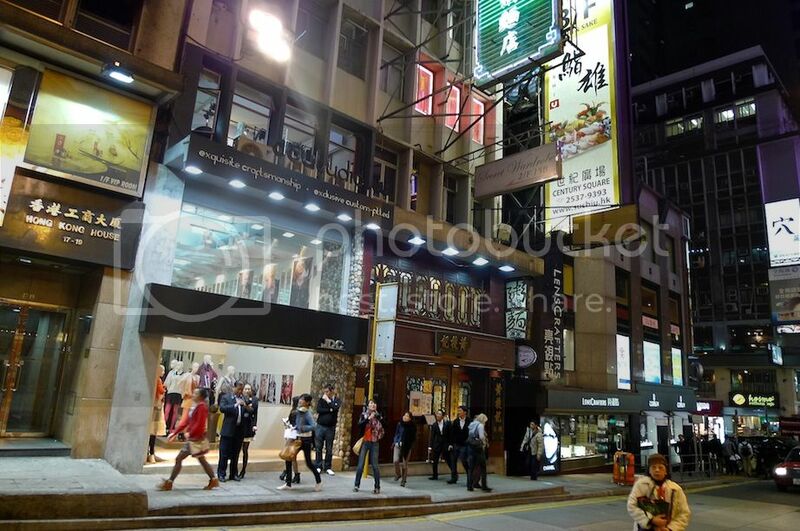 She told us it sounded like 'Loong Kee' and it's in Lan Kwai Fong area. And she said the price was very reasonable and totally worth our money. We told the taxi driver and he said he would bring us there. 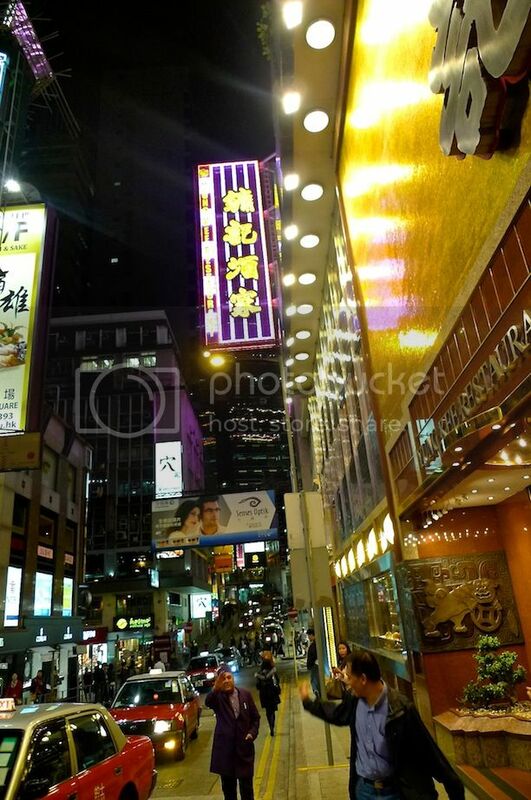 On reaching Lan Kwai Fong, the taxi driver stopped in front of a restaurant called Yung Kee. My friend and I looked at each other. Could this be the restaurant our friend recommended? It was not 'Loong Kee' but it was close enough. My first thought was, it looked way too high class! To my surprise, a staff who had been standing in front of the restaurant opened the taxi door for me and welcomed me. Oh no! With such good treatment, I knew at once we were at the wrong restaurant! After getting down from the taxi, I quickly told my friend this could not be the restaurant we were looking for. Smiling rather sheepishly at the man who opened the taxi door for me, we quickly excused ourselves and walked away. LOL! Come to think of it, why should I even feel embarrassed? Is there a law that say we can't stop in front of a restaurant that we don't intend to visit? No right? Haha! We walked up and down the street known as Wellington Street searching for another restaurant selling roast goose rice. But the place looked expensive so I kept thinking were we even at the right location? I sent a text message to my friend in Malaysia to confirm the location. She said we were at right place but probably not at the correct street as the restaurant should not look expensive. We then went into some shops to enquire, but guess what? None knew about the existence of this roast goose rice restaurant! 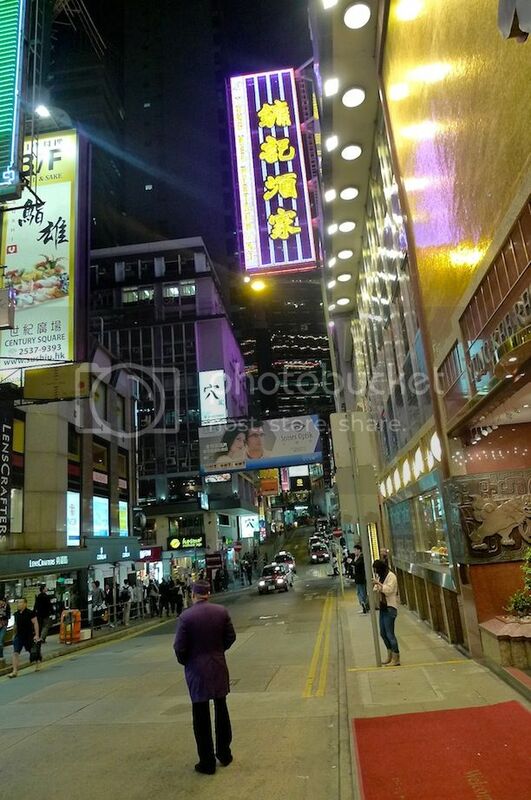 So in the end we spent a good one hour walking around Lan Kwai Fong. I saw quite a lot of foreigners (possibly expatriates) and they seemed to like this place. 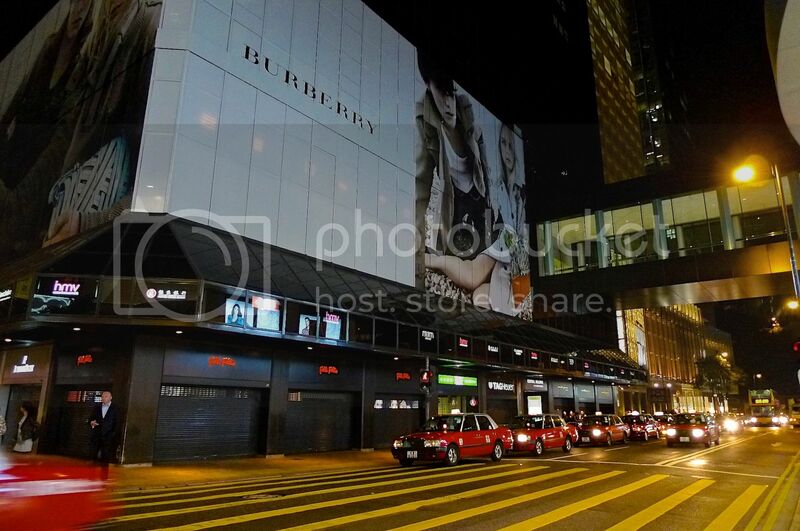 I guess Lan Kwai Fong must be a haven for those who like drinking, clubbing or dining. 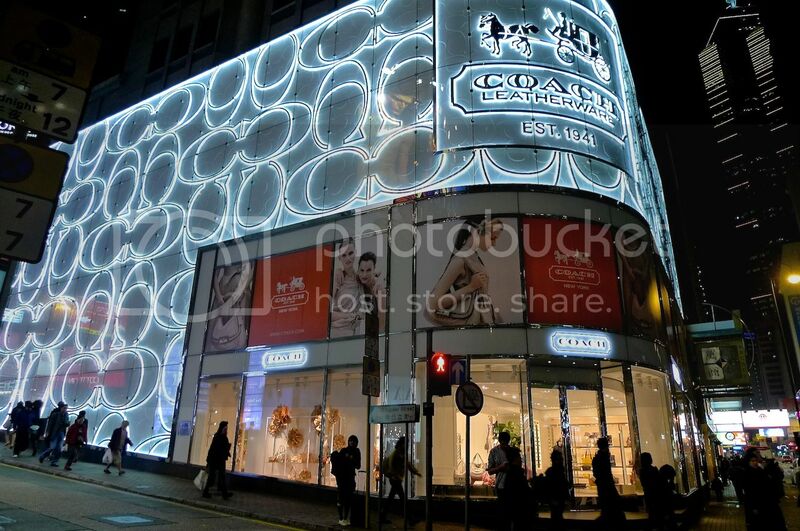 I spotted this brightly lit Coach store along the famous D'Aguilar Street. Love it! 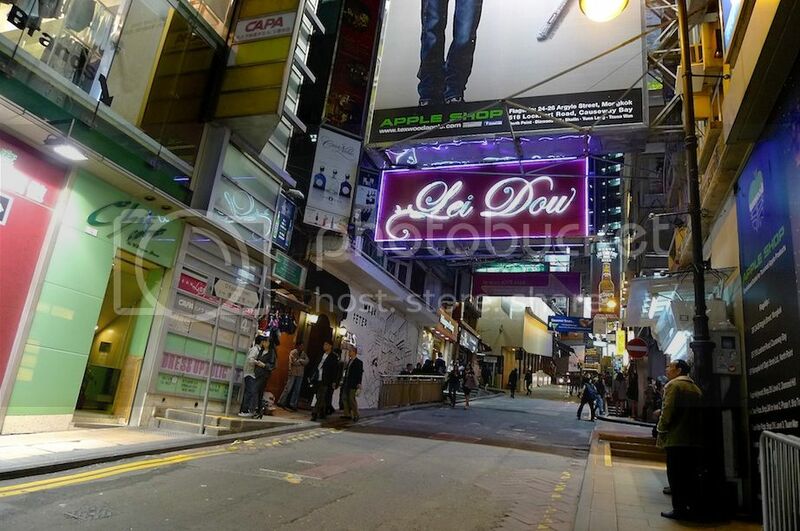 This is Lei Dow bar along D'Aguilar Street. No, my friend and I did not go in for a drink. We were still searching for that elusive roast goose rice restaurant! 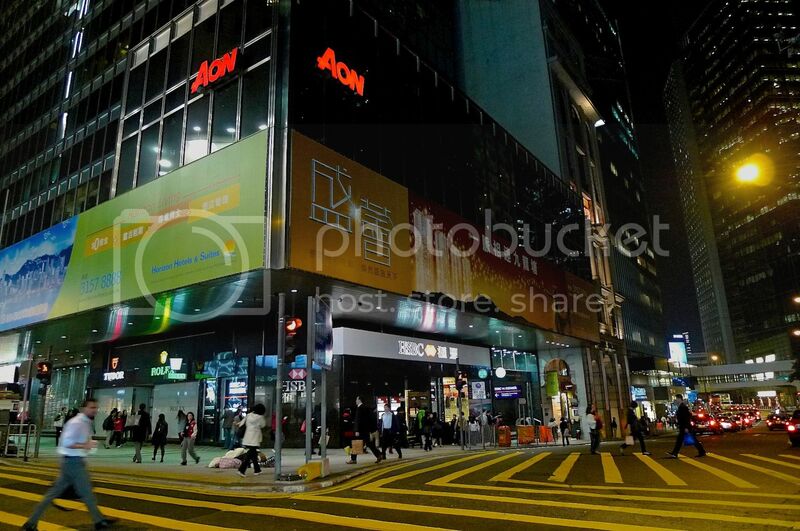 This is AON China Building at the corner junction of Queen's Road Central and Pedder Street. 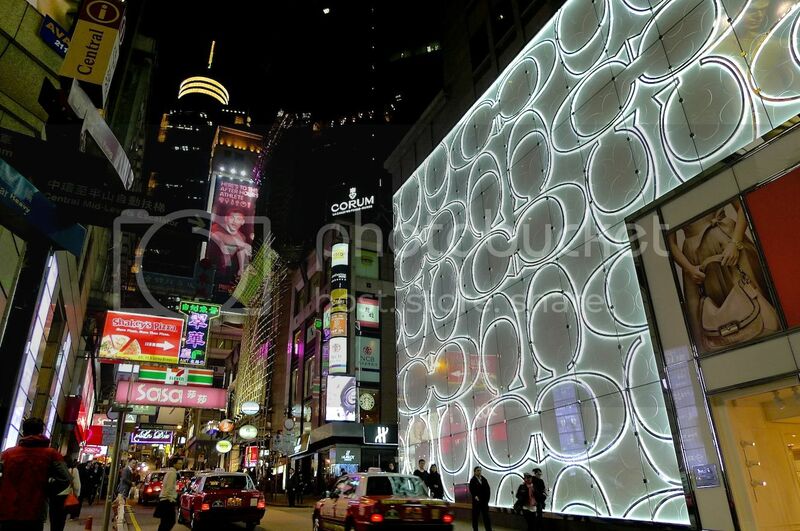 Signboards showing directions in front of the Louis Vuitton shop. 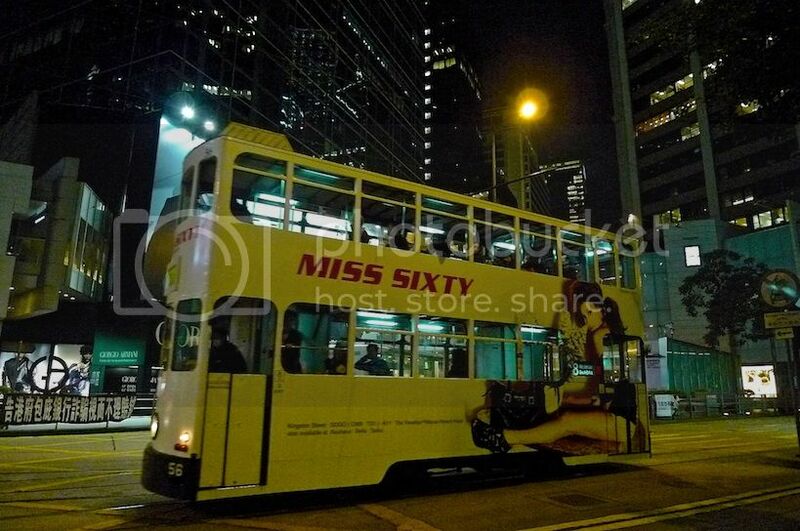 Snapped some photos of double decker buses as I don't get to see such buses in Malaysia. 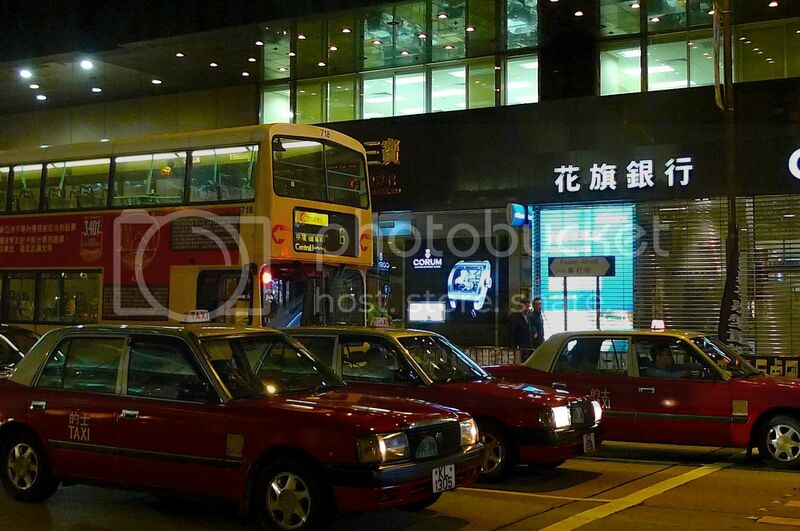 Hong Kong taxis were aplenty. 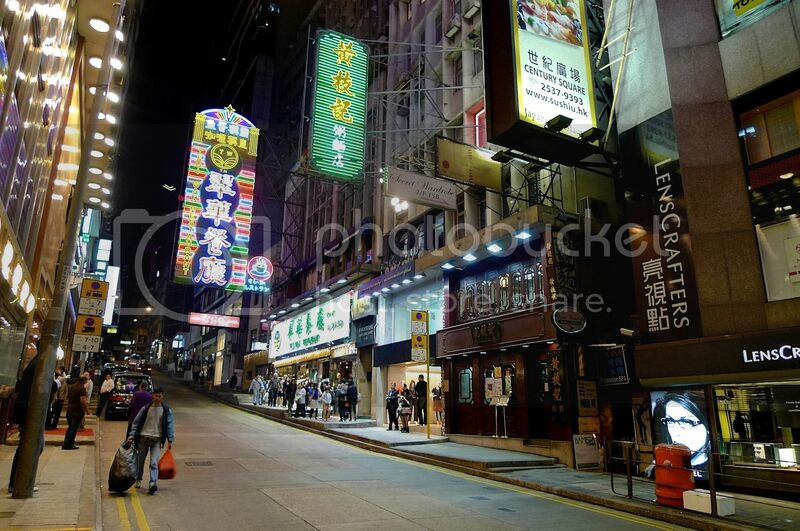 We finally got into one and made our way back to Mongkok where we stayed. It's too bad we could not find the restaurant but that was OK, as we managed to eat some really yummy roast goose rice at another restaurant during our trip. But what did we end up eating that night after reaching Mongkok? Stay tuned for my next post coming right up!